Would you rather get the Galaxy S9 or the Galaxy S9+ and why? 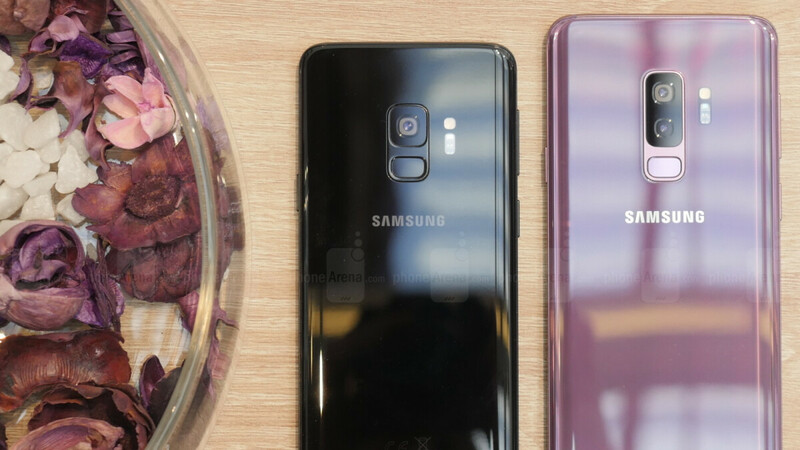 Samsung is already taking pre-orders for its latest-and-greatest flagship duo — the Samsung Galaxy S9 and S9+. The two take the Galaxy S8 formula and only touch it up a little bit, with a new place for the fingerprint pad, a hardware update, and a secondary camera on the bigger model, borrowed straight from the Galaxy Note 8. So, wait, let's back up a bit. What exactly are the differences between the Galaxy S9 and Galaxy S9+? There are only two. The obvious one is that the regular model is more compact — it has a 5.8-inch display with an 18.5:9 aspect ratio, making it narrow and easy to hold in one hand. The S9+ is bigger, with a 6.2-inch diagonal display. Turn the phones around and you will see the second difference — the small model does not have the telephoto lens-equipped camera. This means there's no Live Focus (Portrait Mode) and no 2x optical zoom on the Galaxy S9, only on the Galaxy S9+. Well, there's the third difference as well — price! The Galaxy S9 is already on the expensive side, starting at $720. The Galaxy S9+ pushes it further with a tag of $840. So, we were wondering — which phone would you go for out of these two and what's the main motivator behind your choice? Which one would you buy and why? I won't wait for the Note 9 and choose S9 well, because small hands. S9+ because I want to block the sun from entering my house in the summer. S9 because I want to reach the room's ceiling from the sofa, just for fun. I dont buy a phone that is more than 15cm tall. Too big. 5.8" should be the Plus. I pre-ordered the S9 because I wanted a compact phone. The Note 8 is my last phablet ever, one handed texting is pain in the @ss. Download swiftkey and shrink the keyboard down to the whatever size you need and move it to the left or the right... One hand texting on a phablet done! I never felt comfortable shrinking down anything on my phone, thus the reason why I never ever used two apps at once on any of my Note phones. Plus the close to 200g weight is also annoying when using the phone for long sessions. It's my fault though, I thought I would get used to the extra width and weight when I got my Note 8, but I was wrong. If they made a compact model with the same RAM and dual camera as the S9+, I'd go for that. I dislike the larger displays, and I dislike the fact that analysts are saying that buyers want bigger screens. No, we want the better features that sadly comes with a larger display. S9 for the compact size. Spring of '19, I will looking hard at the next flagship. Until then, my S8 and S8+ are very good. That Nokia Sirocco has me curious too. Where is the option saying "I wouldn't buy the S9/S9+ no matter what, because it's a waste of money" ?? Buying iPhone X better than buy iPhone 8 Plus won't waste money? Better get a pair of glasses as the poll clearly says “Which one would you buy” and not Why you won’t buy it. Then why are you in this article. @Piyath I knew you would post this comment before I even clicked the link. Sorry no option for haters like you. It's surprising that you are here but your butthurt is to big it seems. S9+ for the bigger screen, more battery, more RAM and the telephoto lens(zoom is useful sometimes) But then again, I wouldn't buy either because they cost too much. The only relief is that they are at least cheaper than iPhones. 3 to 6 month and price will drop to 40% at least no worries. Note 8 is now in its 6th month, has priced dropped to 40%? Galaxy’s drop more than note line. Note 8 right now is 650$ from 1000$. They don't drop that much in my country. The S8 is just $100 less than S9 in my country, even after a year. I like the price and size of the S9 but for more screen, a second pens, more RAM, and better battery life I have to go with the S9+ hands down. I hate it when the same phone but one bigger size gets better specs,they should be the same apart from screen & battery size. S(+ because it's bigger, has a better camera and more Ram.